You can use whatever note, but we can use C. Unfortunately, I don't know what the root position would be in this case, so I will lay them out as positions. I used intervals, too. Position 1: Root, major third,  major second, major third. Position 2: Root, major second, major third,  major second. Position 3: Root, major third,  major second, major third. Position 4. Root, major second, major third,  major second. I thought it could be some kind of augmented chord, as it has that augmented quality, but if it were an augmented seventh, wouldn't it be something like Root, major third, major third, major second? As is so often the case in music, a label depends on how something is functioning in context. There are several possibilities for this chord, and they can resolve variously to (at least) chords on B, F, E, or B♭. Prepare for a bit of an onslaught! But if these pitches must be C E G♭ B♭, then it's an altered V7 in F. The V7 chord in F major is C E G B♭. But around the middle of the 19th century, composers started making adjustments to the members of the V7 chord; typically, these adjustments allowed for a smoother resolution to I. One common adjustment was to alter the chordal fifth, either by raising it or lowering it a half step. In this case, we can view this chord as a V7 with a lowered chordal fifth, or V7♭5. In so doing, the G♭ resolves smoothly by half step to F (compare that to what is normally a whole step from G♮ to F). 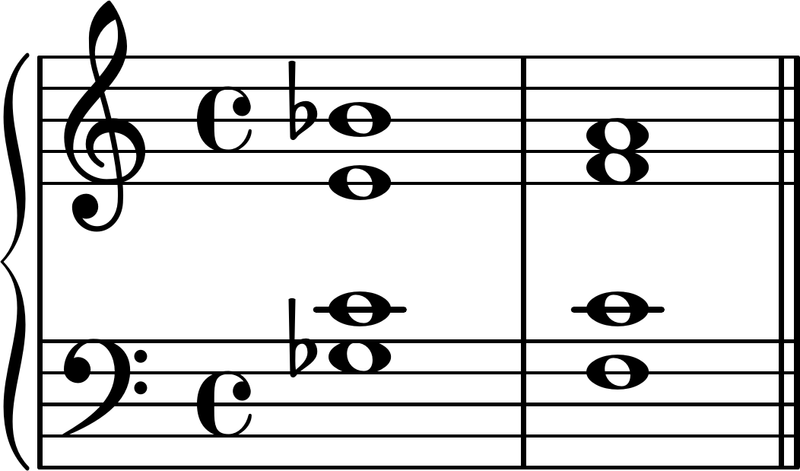 One of the fascinating things about the French augmented-sixth is that it's symmetrical: it's two major thirds separated by tritone. Using your given pitches (and not the enharmonic ones in Explanation 1), we have an augmented-sixth chord not in E, but in B♭! But this requires G♭ to be in the bass. Once again, this chord will resolve to the dominant (V), which in B♭ will be F.
We can mix these altered dominant and augmented-sixth explanations to create yet more: one is an altered dominant (much like Explanations 2 and 4) that has G♭ in the bass (like Explanations 3 and 4). The "French V4/3" is a V7 chord (in F, C is the root) with a lowered chordal fifth (G♭) in second inversion (this G♭ is the bass). 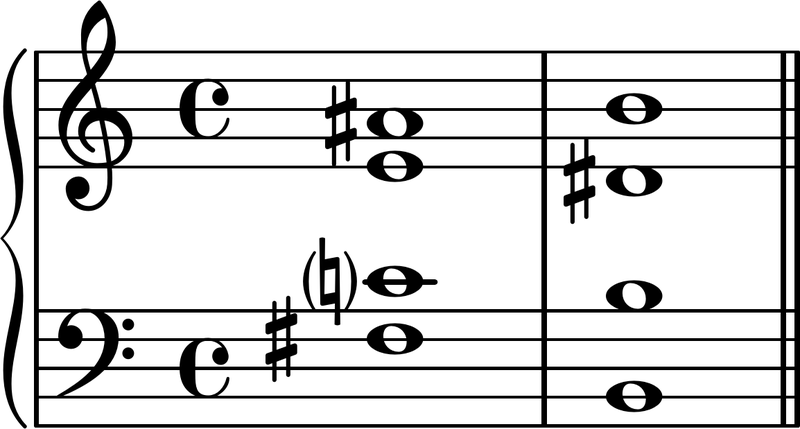 A normal V7 in second inversion is labeled a V43, but since this lowered chordal fifth makes it enharmonic to a French augmented-sixth chord, we call it a FrV4/3. The chord still resolves to F, but now it's understood that F is tonic (like in Explanation 2), not dominant (like in Explanations 3). The resolution is the same as in Explanation 3. Lastly, the harmonic function of Explanation 5 meets the enharmonic spelling of Explanations 1 and 4: a FrV4/3 in B. This looks and sounds the same as Explanation 1, but the B chord is understood as tonic instead of dominant. If you write C7b5 a pianist or guitarist will play the right notes. Or Gb(F#)7b5. If you want a functional description, you'll need to show it in context, HAVING a function. There's a couple of tritones in there, either of which could power a resolution in two different directions! ...the second chord is the C E Gb Bb and would be a tritone substitution for the normal V7 in the common jazz progression iim7 V7 I6. 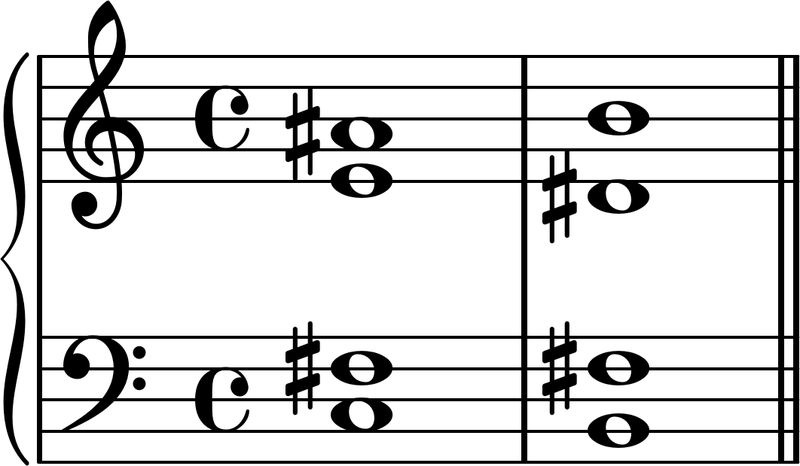 The enharmonic respelling of C E F♯ A♯ a French Augmented Sixth chord (in Richard's first example) would be the commonest functional use in 'classical' music. Because the various spellings can be confusing, it's worth noting a French Augmented Sixth chord is an alteration of the more basic progression iiø43 V. In E minor that would be F# half diminished in second inversion, with the A tone raised. In terms of the E minor scale the 4th scale degree is altered by being raised with a sharp. It may take some time to wrap your head around the idea of augmented sixth chords, but I think it helps demystify them by recognizing their basic functions as inversions and alterations of either iiø7 or iv7 resolving to V in a minor key. 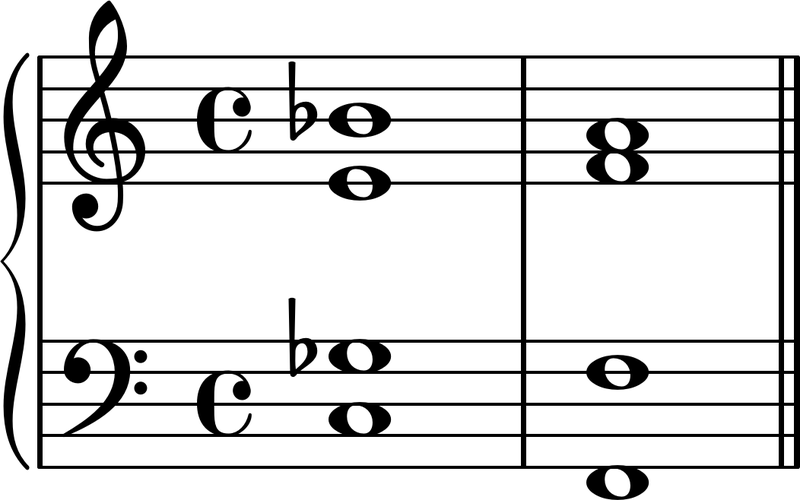 This is a French Augmented 6th chord (Fr⁶). Depending on the inversion used, the Minor 7th interval (C - B♭) tends to expand to an octave, while the inner voices resolve to the desired quality (ie. B Major). F# dominant that wants to resolve to a B tonic chord like Bm6. It's either missing the bass, or has a tritone substitution. D dominant that wants to resolve to a G tonic chord like G6. Try it, sounds very nice! D or G# bass note fits in very easily, but it doesn't necessarily need any added bass note. I absolutely don't mean to insult the other amazingly thought-out, detailed, researched and presented answers, but I am shocked that no one has posted the most natural answer (ie. the one VERY common in all contemporary, jazz, etc. music). Yes, of course you can interpret chords in any number of ways, but if you play C E G on a piano without context, and someone asks you "what's the name of this chord? It sounds happy", the correct answer is "that IS a C major triad". Answering "well MAYBE you're hearing an E minor #5 2nd inversion..." is misleading at best. Similarly: this chord is a C7#11 (C dominant 7 with a #11 (NOT a b5)). The #11 likely explains the "augmented" quality you are noting. In jazz (and the myriad of modern genres which inherit its harmony), "shell voicings" (the major/minor 3rd and major/minor 7th of the root) are used to define the quality of a chord (with the root note in the bass, of course). The 5th is usually left out, as it is generally not considered as "jazzy". Playing a root, major 3rd and minor 7th is a dominant chord 99.99% of the time. #11 is an incredibly common extension for dominant 7 chords. Not the answer you're looking for? Browse other questions tagged theory chords chord-theory harmony identification or ask your own question. Do “augmented-six” chords always have to be bVI?